Eden Mill Hop Gin is a popular Craft Gin available from Amazon.co.uk in 50cl to buy online. Visit Amazon.co.uk for the best price for 50cl of Eden Mill Hop Gin or compare prices on our other Craft Gin products. As Scotland's only single site distillery & brewery, Eden Mill, thought it only sensible to craft a hopped gin... But there was some method in their madness, with this unique resulting gin bursting with zesty, citrus freshness. Using Australian galaxy hops as a botanical, which is cold compounded after distillation and gives the gin a slight yellow hue, Eden Mill's Hop Gin marks an 'evolution' linking the two crafts of brewing and distilling together. Fresh citrus and apricot aroma from the galaxy hops complements the conventional botanicals of juniper, coriander and liquorice to produce a full flavoured refreshing gin. Lovely sweet gin up front, leading onto a drier citrus hoppy finish. Where to buy Eden Mill Hop Gin ? Eden Mill Hop Gin Supermarkets & Stockists. You can buy Eden Mill Hop Gin online in most retailers and find it in the Craft Gin aisle in supermarkets but we found the best deals online for Eden Mill Hop Gin in Amazon.co.uk, DrinkSupermarket.com, TheDrinkShop, and others. Compare the current price of Eden Mill Hop Gin in 50cl size in the table of offers below. 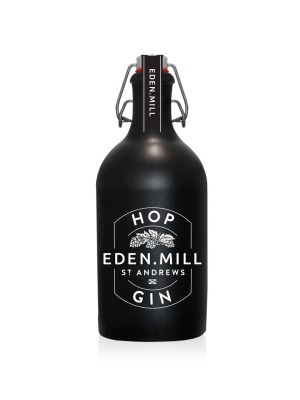 Simply click on the button to order Eden Mill Hop Gin online now.